The slick, high gloss fiberglass exterior walls are laminated under intense pressure with heat-setting adhesives for years of touble-free use. The roof is made of energy-star rated Polyvinyl Chloride (PVC) material with vents that clamp into place eliminating screws and potential leaks. Integrated rain gutters and drip spouts keep the sides of your camper cleaner and prevent streaking. Lance uses more expensive Azdel™ in place of Luan wood virtually eliminating mold and mildew. It's also 50% lighter, formaldehyde free and has a better "R" value for superior insulation and sound absorption. 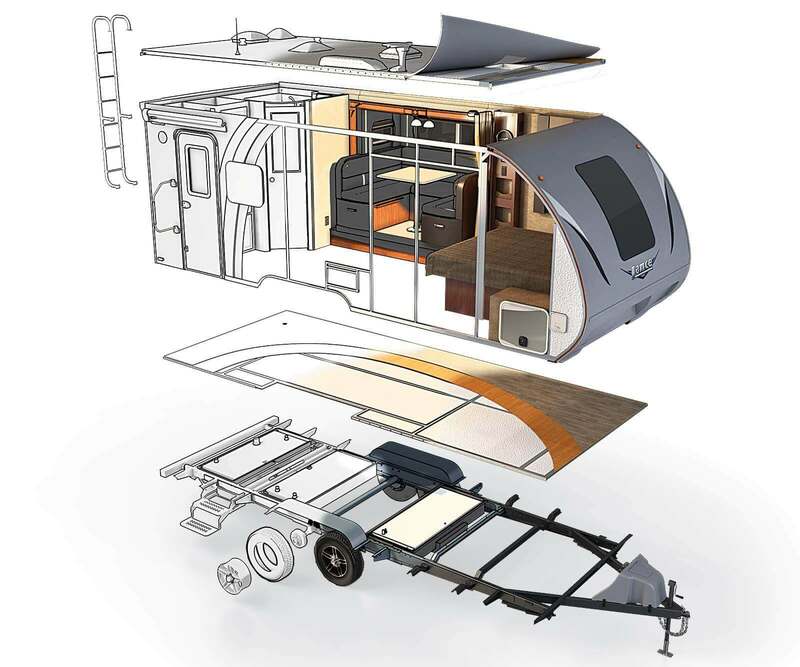 With an aluminum-framed superstructure, the entire camper fits together like a perfect puzzle. "LanceLock™" features interlocking aluminum extrusions to connect all exterior panels. All seals use an anti-wicking material to prevent moisture from transferring into the laminate walls. Rigid block foam insulation fits tight to resist sagging and promotes structural strength. Four Season package also features insulated bed pad. Interiors are constructed of Euro-Lite™ which Lance imports from Europe. This superior product is lighter, formaldehyde free and stronger providing both beauty and durability. Beautiful and aerodynamic, the nose cap is made of TPO, the same material used for bumpers on automobiles. Its high gloss finish is resilient and resistant to the abuses of the road. Its slick surface makes it easier to clean. The roof is made of energystar rated Polyvinyl Chloride (PVC) material with vents that clamp in place, eliminating screws and potential leaks. Integrated rain gutters and drip spouts prevent the sides of your trailer from streaking. Rigid block foam insulation yields maximum "R" value and promotes structural strength. Interiors are constructed of Euro-Lite™ which Lance imports from Europe. This superior product is lighter, formaldehyde free and stronger. Providing both beauty and durability. Keeping it all together are stainless steel fasteners. Unlike our competitors, this expensive hardware resists corrosion making for a lasting investment. All seals use an anti-wicking material to prevent moisture from transferring to the laminate walls. Lance uses more expensive Azdel™ in place of Luan wood, virtually eliminating mold and mildew. It's also lighter, carcinogen and formaldehyde free and has better "R" value for superior insulation. Lance's aluminum framed superstructure provides for an extremely solid trailer that is also lightweight. Heavy duty rubber torsion-bar suspension axles allow for independent articulation, providing a better towing experience off-road in addition to featuring EX-lube bearing and selfadjusting brakes for easy maintenance. Engineered super lightweight, powder coated, tempered steel custom chassis Huck bolt construction eliminates weak and rust-prone welds. High gloss TPO lower front gravel guard with jewel LED lighting is both beautiful and resilient to the abuses of the road while protecting this section of the chassis. Slideout rooms feature smooth, dependable operation. Lighter in weight than other mechanisms, they��re also smaller, allowing for more living space. The slick, high gloss fiberglass exterior walls are laminated under intense pressure with heat-setting adhesives for years of trouble-free service. 3D advanced CAD engineering creates precise plans that run CNC machinery. Precise plans used by precise machinery, equals the best possible, repeatable build quality. One quick way to see the result of this investment and effort is by inspecting the cabinet to ceiling joint on Lance products, then look at competitors. The caulk, batten or molding you see on the competitors is hiding design and construction flaws. 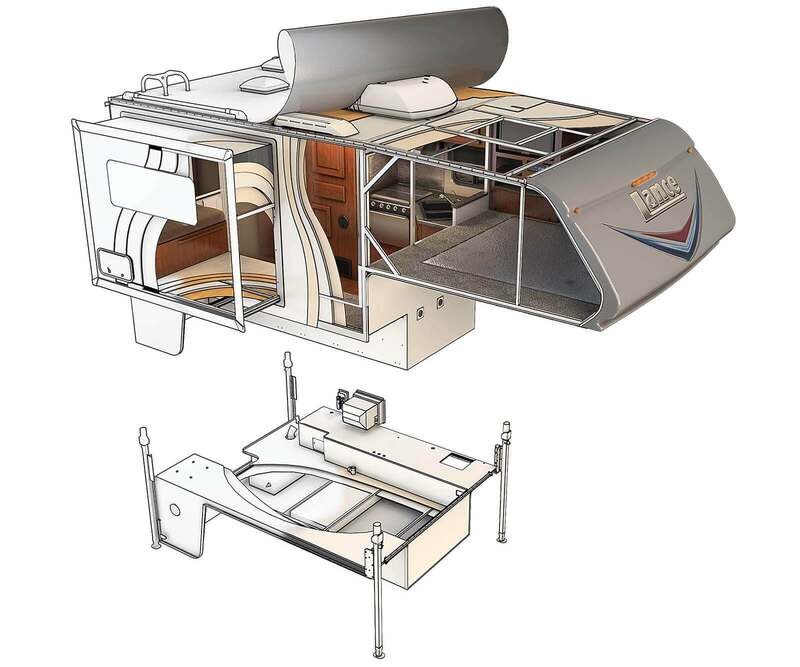 Lance builds to a zero tolerance allowance, resulting in a better fitting, longer lasting, higher quality RV. Lance was one of the first RV companies to truly incorporate CNC (Computer Numerical Control) machines in the manufacturing process. 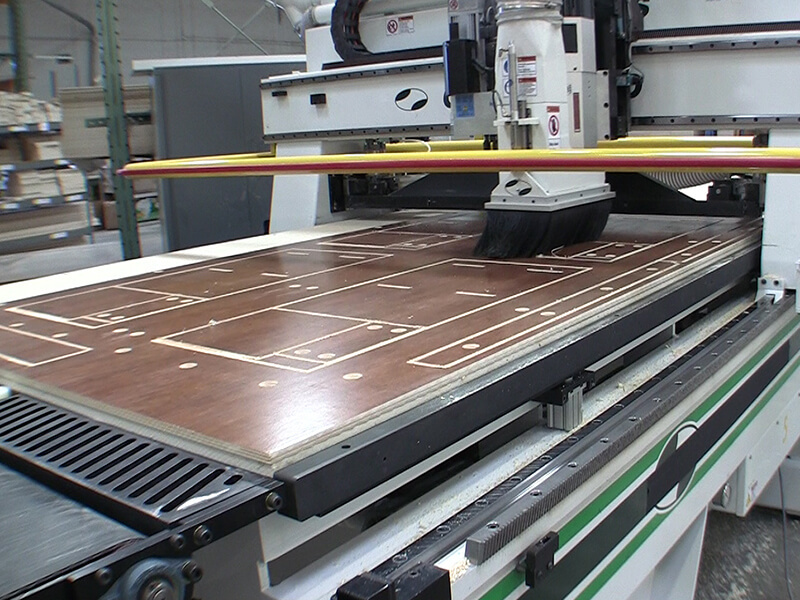 Since then, we have never looked back, continuing to invest in new CNC machines that offer the latest in technology. 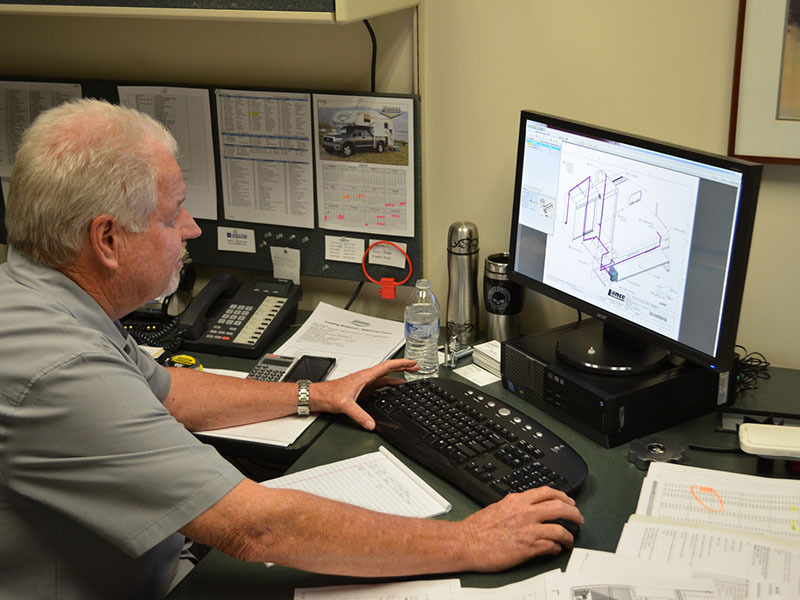 Quite simply, CNC machines allow unmatched precise and repeatable cutting of a variety of materials that go into the building of our RV's, taking this impossible burden off the production staff. Interiors are constructed using Euro-Lite which Lance imports from Europe. 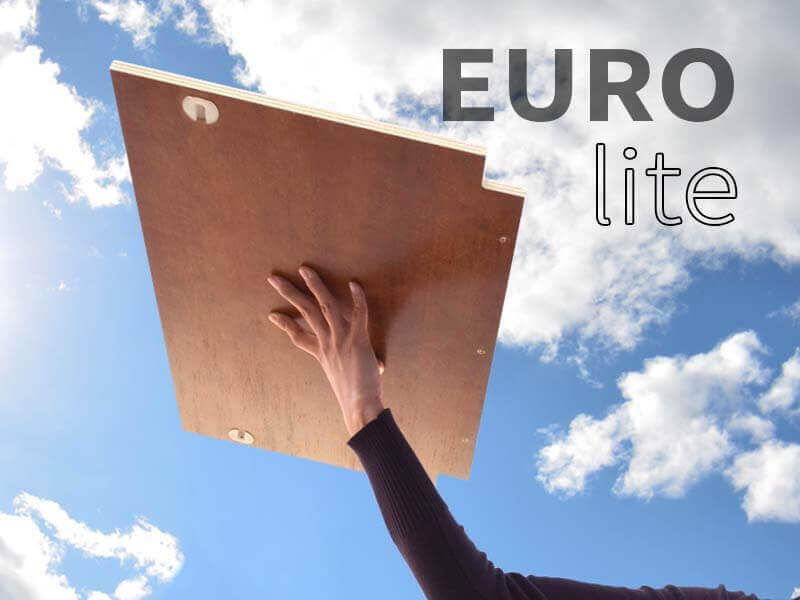 Euro-Lite does cost more, but is both lighter and stronger than other wood products. For these same reasons, this same wood is also the preferred material used by many corporate jet manufacturers. Incorporating both tongue and groove and dovetail construction, provides durability and beauty.